The fleet of new coal plants would make it virtually impossible to meet the goals set in the Paris climate accord, which aims to keep the increase in global temperatures from preindustrial levels below 3.6 degrees Fahrenheit. Electricity generated from fossil fuels like coal is the biggest single contributor globally to the rise in carbon emissions, which scientists agree is causing the Earth’s temperatures to rise. The United States may also be back in the game. On Thursday, Mr. Trump said he wanted to lift Obama-era restrictions on American financing for overseas coal projects as part of an energy policy focused on exports. BEIJING — The world’s biggest coal users — China, the United States and India — have boosted coal mining in 2017, in an abrupt departure from last year’s record global decline for the heavily polluting fuel and a setback to efforts to rein in climate change emissions. Mining data reviewed by The Associated Press show that production through May is up by at least 121 million tons, or 6 per cent, for the three countries compared to the same period last year. The change is most dramatic in the U.S., where coal mining rose 19 per cent in the first five months of the year, according to U.S. Department of Energy data. Coal’s fortunes had appeared to hit a new low less than two weeks ago, when British energy company BP reported that tonnage mined worldwide fell 6.5 per cent in 2016, the largest drop on record. China and the U.S. accounted for almost all the decline, while India showed a slight increase. The reasons for this year’s turnaround include policy shifts in China, changes in U.S. energy markets and India’s continued push to provide electricity to more of its poor, industry experts said. President Donald Trump’s role as coal’s booster-in-chief in the U.S. has played at most a minor role, they said. The fuel’s popularity waned over the past several years as renewable power and natural gas made gains and China moved to curb dangerous levels of urban smog from burning coal. 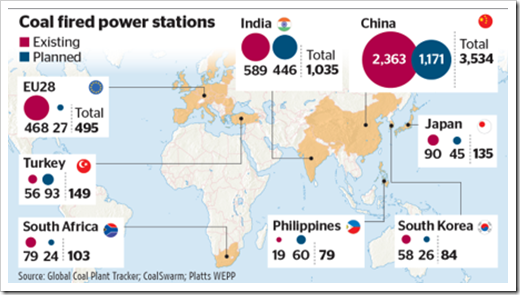 Whether coal’s comeback proves lasting has significant implications for long-term emission reduction targets, and for environmentalists’ hopes that China and India could emerge as leaders in battling climate change. While the U.S. reversal is expected to prove temporary, analysts agree that India’s use of coal will continue to grow. They’re divided on the forecast for China over the next decade. A forecast released this month by the Canadian Association of Petroleum Producers sees the country’s output increasing by 270,000 barrels a day in 2017 and another 320,000 b/d next year. That combined two-year Canadian increase is equal to almost a third of Opec’s production cuts that it made with allies like Russia at the beginning of this year in an effort to raise prices. Canada isn’t even the sharpest North American thorn in OPEC’s side, though. The United States has seen its own oil output jump 550,000 barrels per day since last November, when these petrostate cuts were first announced. American production has dipped slightly in recent weeks as producers have scaled production back slightly due to flagging oil prices, but the outlook for shale over the rest of the year is still quite strong. Combined, Canadian and U.S. oil production is set to grow more than a million barrels per day next year, as compared to where these North American countries were when the petrostate cuts first went into place. That nullifies more than half of that petrostate production draw down. And it’s important to note that, going forward, OPEC will be the victim of any success it manages with these cuts. If prices do start to rise—a very big if, given current market conditions—then shale producers will quickly be able to take advantage of the rebound by ramping up their own production. 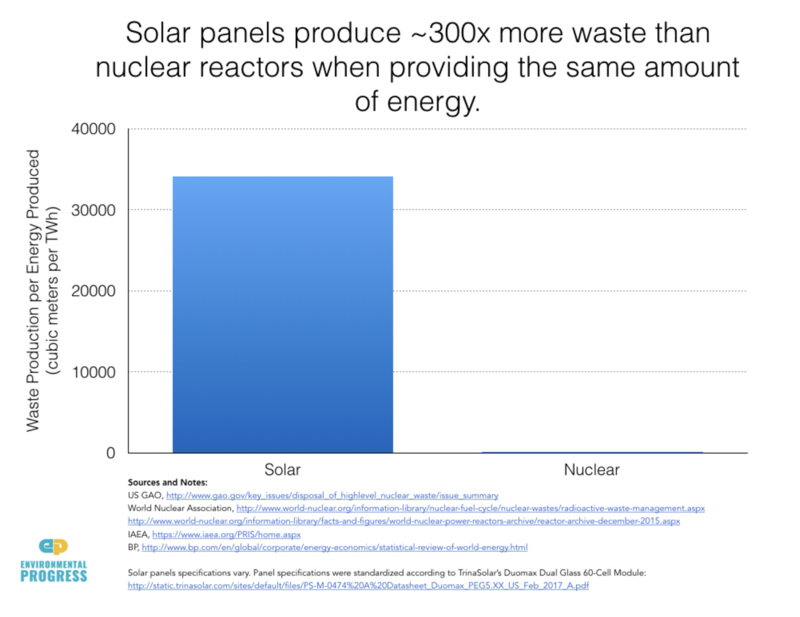 “The problem with waste from solar is that it isn’t handled as well as nuclear waste,” Dr. Jeff Terry, a professor of nuclear physics involved in energy research at the Illinois Institute of Technology, told The Daily Caller News Foundation. The net impact of solar panels actually temporarily increased carbon dioxide (CO2) emissions, due to how much energy is used in their construction, a study published in December 2016 concluded. Costs have come down to the point where the Financial Times published an article titled, “The Big Green Bang: How renewable energy became unstoppable.” This has been much cited around the web, especially by advocates of “green” energy, of whom there are many, but others as well. One typical article was titled, “Futurist Ray Kurzweil Predicts Solar Industry Dominance In 12 Years –Trajectories Are Exponential” which looked at growth rates and the effect of compounding on market share over the long term. It all sounds like Dorothy and her friends skipping gaily along towards the Emerald City while “Optimistic Voices” plays in the background (“Step into the sun, step into the light”). Unfortunately, reality is the wicked witch and the flying monkeys are starting to descend. As the professors say, compare and contrast with the earlier quotes: “New investment in clean energy fell to $287.5bn in 2016, 18% lower than the record investment of $348.5bn in 2015 and 9% lower than the $315bn invested in 2014.” And where one story notes, “We are convinced China will become the leading market for electromobility,” Volkswagen brand chief Herbert Diess told Reuters at the Shanghai show, it also explained “In China, credits and rebates are driving impressive EV sales.” A recent report indicated market weakness in Chinese EV sales, although it is too early to say whether this is a trend. “The Chinese market had 6,260 new EVs registered in January, far from the 15,275 units of January 2016." Which highlights the importance of why: “One suspected strategy involves manufacturers selling faulty or incomplete cars to related parties who pocket the subsidies and then return the cars. That could explain why wholesale shipments of electric cars between January and November were 56% above retail sales, according to LMC Automotive data. By contrast, in the broader car market, wholesale was 6% higher than retail.” Similarly, the IEA noted that wind power installations soared in China as builders rushed to meet a deadline for high priced power contracts, and then fell by nearly half in 2016. New European solar installations dropped by one-third in 2016 as several countries reduced high prices for purchased power. An end to heavy subsidies and mandates might not cause the near-disappearance of these industries as in the past, but some serious retrenchment is a real possibility and it’s puzzling that so many are treating that as impossible. The contract for the proposed Hinkley Point nuclear power station is so heavily loaded with penalties that the UK government is unlikely to cancel. Rising costs and other project risks, on the other hand, mean that EdF is in no hurry to build it. This results in a stagnant uncertainty that further clouds prospects for what would otherwise be the technology of choice, Combined Cycle Gas Turbines, and even for renewables. One of the UK government’s subsidiary aims in supporting EdF’s proposal to build a new nuclear power station at Hinkley, in Somerset, was, in the words of the National Audit Office’s new and extremely critical appraisal, “to generate wider investor confidence and pave the way for other new nuclear projects” (p. 6). In this ambition the government has not only failed comprehensively, but already produced outcomes that are likely to be counterproductive. With only preliminary works completed, the Hinkley project already deserves its own chapter in the record of government mishandling of nuclear energy. Indeed, if Greenpeace moles had been manipulating Departmental policy with the aim of scotching a nuclear future, they could not have been more successful. This matters, not because Hinkley C itself is essential to UK energy security – it simply isn’t and Combined Cycle Gas Turbines (CCGTs) are a much better bet in the medium term – but because nuclear energy is very likely in the far future to be the only attainable means of replacing fossil fuels and at the same time maintaining very high levels of global wealth. Nuclear fuels are extremely dense, low entropy stocks of energy, and they have the potential, so far only imperfectly realised anywhere in the world, of yielding a very high Energy Return on Energy Invested. The higher that return, the larger the rest of the non-energy sector economy, making for general prosperity. 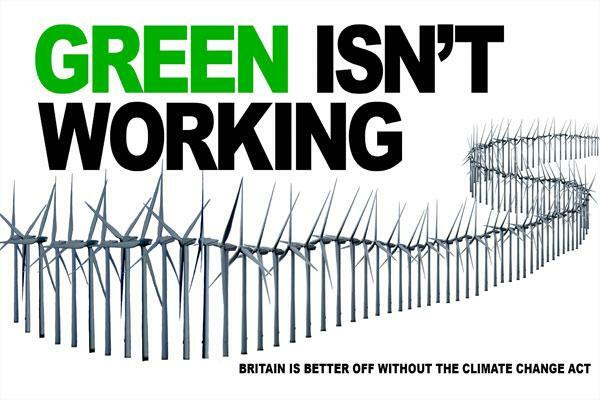 Renewable energy has no such prospects. Paradoxically, therefore, with an eye on the long term welfare of the United Kingdom, government should have cancelled the obviously misbegotten Hinkley scheme before issuing a contract. This was clear in June last year (see my blog “Hinkley C and the UK Power Market”), but unfortunately Mr Clark allowed himself to be hustled into granting a contract and, crucially, a very detailed Investor Agreement setting out terms for compensation in the event of changes of policy. The two parties, the British government on one side, and, in effect, the French government on the other, now find themselves locked into a project for which neither has any enthusiasm. What should the UK’s Secretary of State do? Thanks to the absurdly generous Investor Agreement it seems that he cannot now cancel the project, even at this early stage of construction, without paying EdF compensation for lost profit over its lifetime (the calculation is complicated, see p. 46-7). The National Audit Office estimates this compensation at £22 billion (in 2012 prices, see p. 7). Alternatively, one might think that Mr Clark and his successors could simply sit on their hands and wait for for EdF’s problems at Flamanville to come to a head, for Hinkley’s costs to steadily escalate and its timetable to slip, all in the hope that the French state will eventually blink. However, that is unlikely to happen. EdF is in no hurry to complete the scheme, and has generous allowances for time overruns. Furthermore, the escalating construction cost estimates (reported as an additional 3 billlion Euros, for example in The Times 27.06.17) are probably not of overwhelming concern, since Her Majesty’s Treasury is under an obligation to guarantee a £2 billion bond issue in 2018, to finance construction. With just the faintest perceptible irony, the NAO comments on this bond issue that “EdF has said it does not expect […] to use this facility” (p. 6). Perhaps EdF meant this when it was said, but in the current situation it would not be surprising if the board see things differently. Thus, neither party is likely to bail out. The British government is tied down by the contract that it foolishly granted, and even if EdF has secretly abandoned realistic expectations of ever generating electricity at Hinkley in the foreseeable future, or ever, it will probably be easier on the balance sheet to maintain the appearance of proceeding with construction. This marriage will go on, not for the sake of the children, who will be paying for this mess, but for the sake of appearances. There are two undoubted casualties from this debacle. The first I have already noted, the harm to the long term future of nuclear energy. Organic growth and refinement in this sector is highly desirable, but all over the world it has suffered from governmental mishandling. Hinkley makes this problem worse. The second casualty is the development of a new generation of Combined Cycle Gas Turbines. These are fundamentally economic, and are, in truth, the benchmark by which to measure the bad value both of Hinkley and its almost identically evil twin, the renewables programme. In an undistorted market investors would be building more modern CCGTs, with very high thermal efficiencies, low fuel consumption and low emissions. But while Hinkley remains even a vague possibility, and so long as the UK continues to pretend to adhere to the renewables targets, the future market for electricity in the United Kingdom will appear so uncertain in scale and unattractive in character that there will be little appetite for investment in CCGTs. This grim mess may yet result in a third casualty, and far from celebrating this outcome, supporters of wind and solar should be worried. The need for low cost firm generation is not yet quite acute, but will become more pressing. With the market hemmed in by the punitive Hinkley contract on one side, and commitments to EU renewables targets on the other, government will choose to clear space with least effort. This could easily mean abandoning renewables to their fate by loudly declaring them a glorious success while quietly cancelling further support and allowing nature to take its course.